I enjoy going on picnics and these sandwiches always end up in my basket. They are so simple to make, but they definitely have a gourmet feel. I always buy more prosciutto than I need because I end up eating a slice or two while preparing the sandwiches, hopefully you have more self control than I do. If not do as I do and buy a pound. 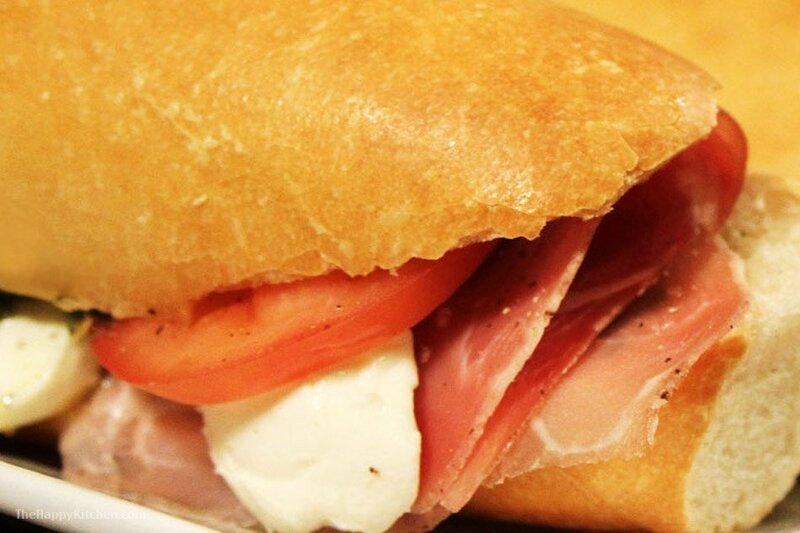 Mozzarella is perfect in this sandwich because it balances the strong flavors of the prosciutto and pesto. Once you try this sandwich it will frequent your picnics as well. Place all dry ingredients in food processor pulse until well combined. Slowly add olive oil and pulse until a paste forms.